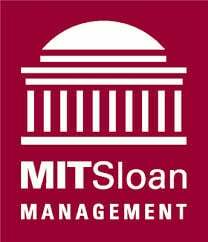 IPVision, along with members of the MIT Sloan School of Management faculty, hosted a live webinar on Wednesday, October 9 at 10:00 am PDT / 1:00 pm EDT that updated participants on the ongoing progress of joint research that will bring increased understanding of how strategic / operating companies make decisions related to patent transactions. IPVision executive and advisory team member Joseph Hadzima is a featured speaker at this year's IP Business Congress in Boston. Hadzima will discuss the changing face of the IP market. 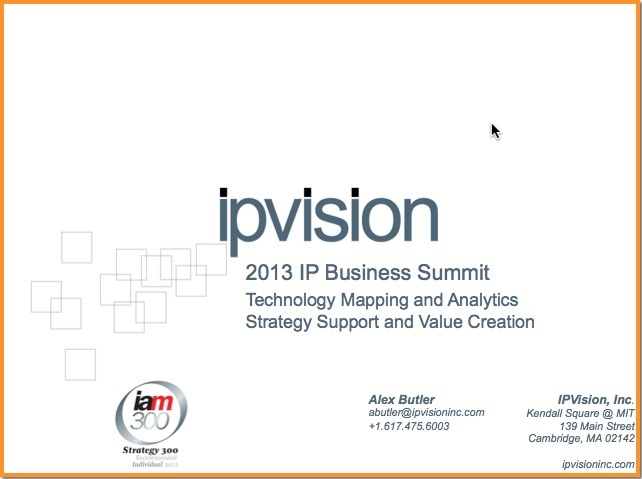 IPVision executive Alex Butler presented at the 2013 IP Business Summit produced by the National IP Taskforce and the University of South Carolina Darla Moore Scho ol of Business. Alex led a discussion focused upon the interplay of strategic and financial perspectives in corporate and investor decisions. IPVision executive Alex Butler leads a discussion on how IP can best be incorporated into corporate decisions at the Annual IP Business Summit coordinated by the Faber Center for Entrepreneurship at The USC Darla Moore School of Business and the National IP Taskforce. Held outside of Charleston, SC May 30-31, the Summit also includes a unique 1/2-day work session focused upon the role of IP in creating value in the creative arts communities on May 29. Please join Fitch, Even, Tabin & Flannery LLP and IPVision for a complimentary webinar, "Disruptive Technologies and Patents: A Case Study of Graphene," presented by Steven G. Parmelee and Alex Butler. 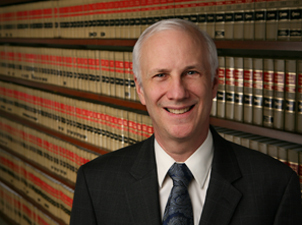 Please join IPVision and Fitch, Even, Tabin & Flannery LLP for a complimentary webinar, “Disruptive Technologies and Patents: A Case Study of Graphene,” presented by Steven G. Parmelee and Alex Butler. The webinar will take place on Thursday, April 25, 2013, at 9:00 am PDT / 10:00 am MDT / 11:00 am CDT / 12:00 noon EDT.